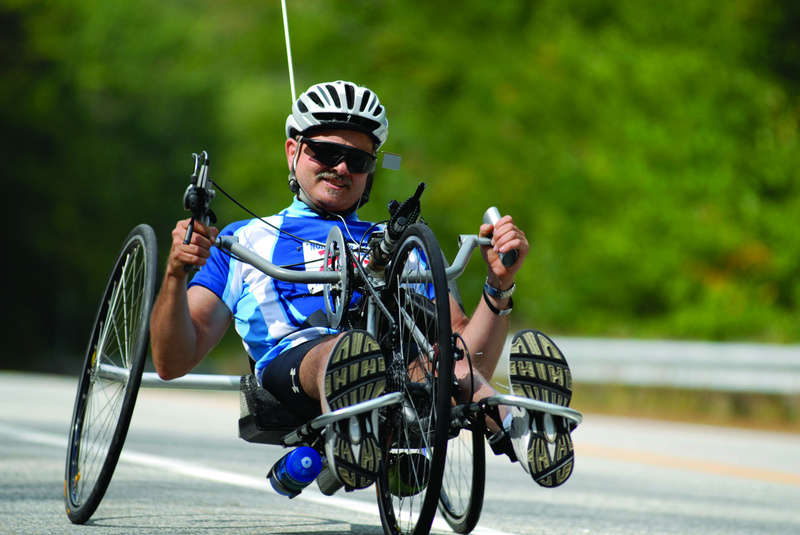 Brent Cote, U.S. Air Force, became a PATH participant and avid cyclist after cancer treatment and a spinal cord injury. Photo by Ed Harrigan. Jack Pillsbury is a combat veteran whose three tours of Vietnam left him with symptoms of post-traumatic stress disorder. Until two years ago, that long-ago war was still affecting his life. Then he met Cathy Thompson. Thompson is the director of PATH™ (Promoting Access Transition and Health), a home-based therapy program that engages clients in recreation within their communities to aid them in making social and emotional changes that can lead to improved overall health. 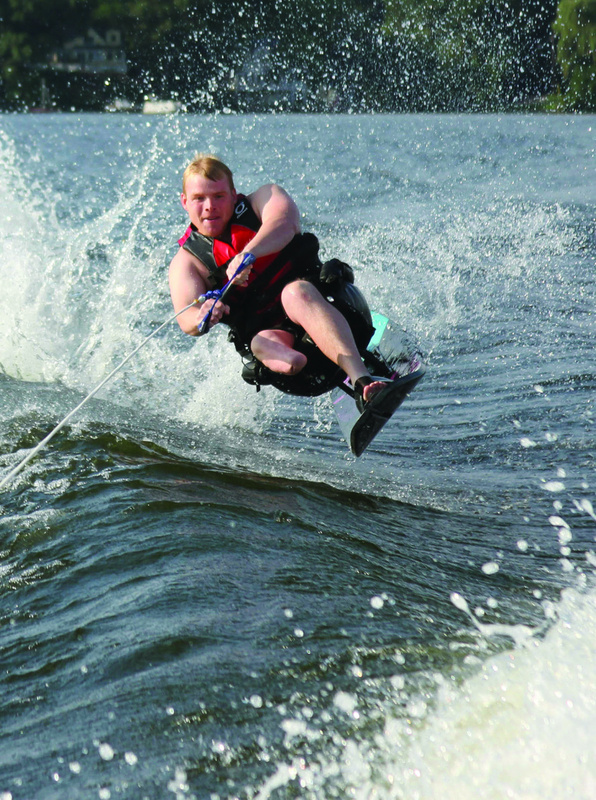 It was started by Northeast Passage, UNH’s nationally recognized therapeutic recreation and adaptive sports program. Pillsbury credits both programs with helping to draw him out and overcome his PTSD. Vietnam Veteran Jack Pillsbury credits Cathy Thompson and Northeast Passage with helping him overcome PTSD. Photo by Jeremy Gasowski. And that is just what the research revealed: People feel better when they engage in activities in their communities. PATH™ grew out of research Northeast Passage conducted in 1998 with individuals who had experienced spinal cord injuries. The results revealed that the program increased participants’ self-confidence, improved their quality of life and reinforced the connection between their actions and their health. On the strength of those outcomes, Northeast Passage developed partnerships with Martin’s Point Health Care in Portland, Maine, and the Veterans Administration in Manchester, N.H. that continue today. In 2014, thanks to an adaptive sports grant from the U.S. Department of Veterans Affairs, Northeast Passage extended the scope of PATH™ to veterans with all types of disability. 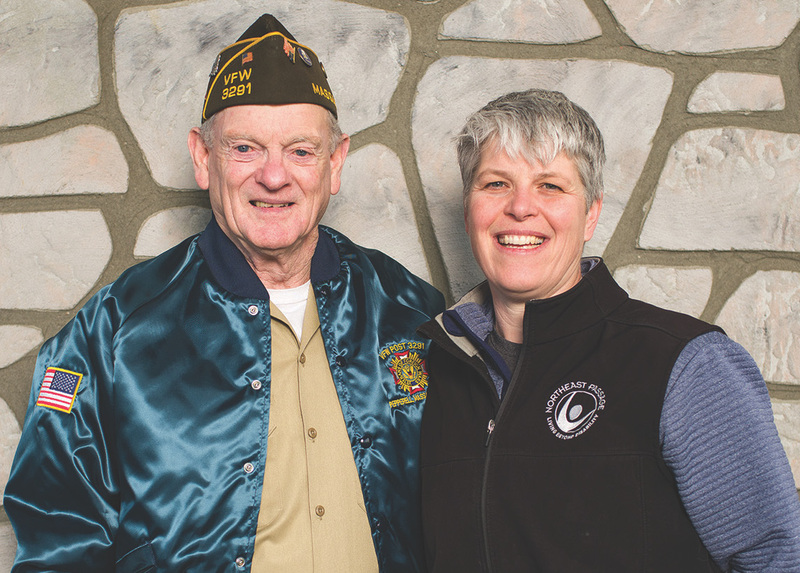 Within the first three months, the program had received 70 referrals from mental health affiliates throughout New Hampshire, and in 2017, 139 veterans received 352 home visits, totaling 773 treatment hours. Craig Brady '16, a U.S. Marine who lost his lower right leg while serving in Afghanistan, water skis and plays competitive hockey with Northeast Passage. Photo by Danielle Durocher. A 2017 UNH study conducted with veterans from the Manchester VA Medical Center who had completed PATH™ confirmed the earlier findings, also indicating a significant change for the better. The study showed significant signs of improvement in health satisfaction and perceived quality of life as well as a marked change in leisure activities, despite chronic health constraints. Themes that arose in an earlier qualitative study showed physical benefits of PATH™ participation, such as weight loss, functional fitness, lower blood pressure, decreased pain and decreased use of medication. PATH™ brought emotional benefits, too: higher levels of happiness, confidence, patience and self-acceptance. In November 2017, that leadership in the field led Northeast Passage to become the first recreational therapy provider for the federal program Veterans Choice, the first-ever federal funding source to reimburse recreational therapy. “This policy change represents an enormous shift in both recreational therapy services and veteran health care,”Thompson says. The change also opened the door for PATH™ to expand beyond UNH and New Hampshire to organizations wanting to offer the program in their area.